In a quiet cul de sac on the outskirts of south Belfast lives Anna Reid – the woman who said goodbye to football on the death of Belfast Celtic. 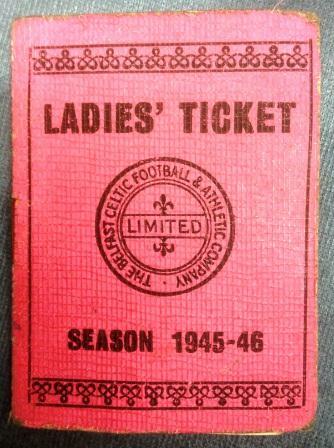 A former season ticket holder at Paradise, Anna recently donated her ladies' season ticket from the 1945-6 season to the Belfast Celtic Museum. 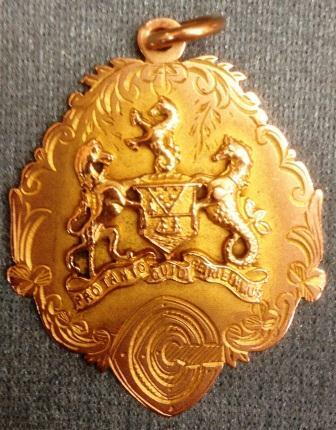 As well as this, she has also passed a wonderful 1927 City Cup medal, belonging to stalwart Eddie Inch, along with youth international caps from her brother, George McLarnon, who once starred with north Belfast rivals Cliftonville. Anna’s father Joseph, from Hillman Street in north Belfast, was a Celtic fanatic. A butcher by trade, he owned shops in Cromac Square and the Ormeau Road and was a great friend of Elisha Scott, who gifted him Inch’s cup medal, now residing in the museum. Both men were members of the National Club in Berry Street and Joseph, and later Anna herself, became very friendly with many of Belfast Celtic’s great players, including Jackie Vernon and Tommy Breen. 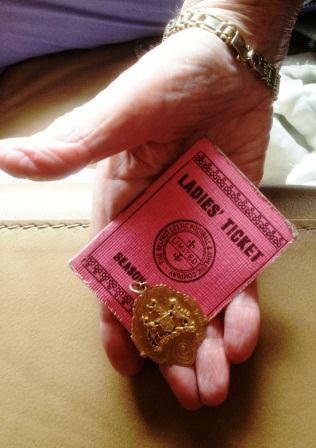 As Anna stretched out her wonderful hand to pass on her treasured bounty, she reached back into time and for a split second breathed life into a football team that will never play a game again.